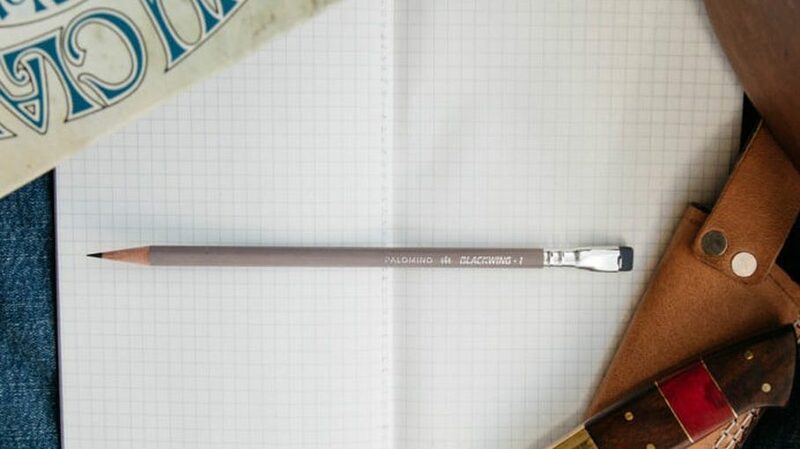 The original Blackwing 602, known as the best pencil, had a lot of famous fans: Legendary Grammy, Emmy, Pulitzer and Academy Award winners have created with the Blackwing 602 pencil. The list of known users includes John Steinbeck, Stephen Sondheim, Leonard Bernstein and Chuck Jones who proudly used Blackwings to create Bugs Bunny. 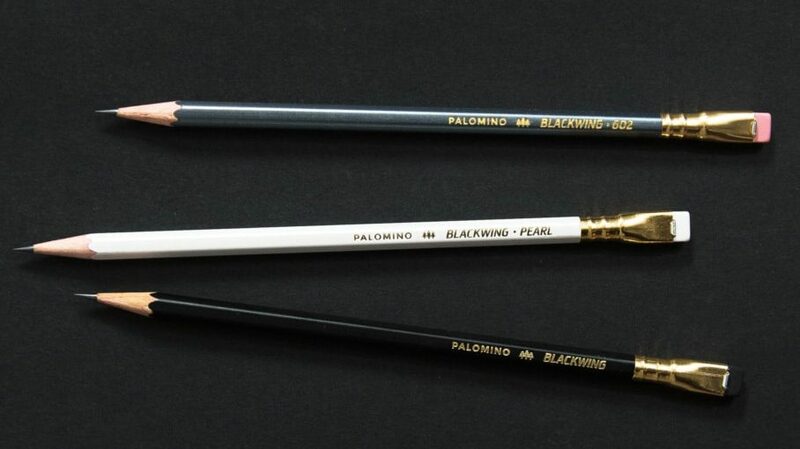 The Palomino founder, whose family’s roots in the pencil industry date back to the mid 19th century, used the company’s unique supply relationships to re-introduce Blackwing pencils in 2010 featuring California genuine incense-cedar and premium Japanese graphite. Die drei Standard BLACKWINGS: der BLACKWING, der BLACKWING PEARL und der BLACKWING 602 mit dem Slogan “Half the pressure, twice the speed”. Jeder hat ein anderes Schreibverhalten, der BLACKWING mit einer soften + dunklen Mine (ca. 6B), der Pearl mit weicher + ausgewogener Mine (ca.4B) und der 602 mit einem festen Strich zum Schreiben (ca.2B). Three original lines: the Blackwing (sometimes called Blackwing v2); the Blackwing Pearl; and the Blackwing 602 (which bears the original slogan, ‘Half the pressure, twice the speed.’). Each has a different writing characteristic, with soft lead in the Blackwing, balanced lead in the Pearl and firm lead in the 602. Alle drei Monate wird ein neuer limitierter BLACKWING Bleistift vorgestellt. Jeder hat seine eigene Geschichte und ist Persönlichkeiten und Ereignissen gewidmet. Einzelhändler, die unseren Newsletter abonniert haben, werden als erste benachrichtigt und haben so die Möglichkeit schnell zu bestellen. A limited edition Volumes release is announced every quarter. Each celebrates a unique piece of history. We announce new Volumes as early as possible to give retailers an opportunity to reserve stock. Only retailers who receive our newsletter will receive early notification.